ICM Industrial & Chemical Measurement. If you have sales questions please contact Leanne at 1-503-515-6331, all calls will be returned within 8 hours if a message is left. ICM Order Form PDF is now available. Check out our NEW LMI Pump section. Click here for more details. You can now download our catalog in a PDF format on our catalog request page. Click here for Catalog. NEW RENTAL PROGRAM FOR ALL METERS, CONTROLLERS EXCLUDED: Please click here for more details. 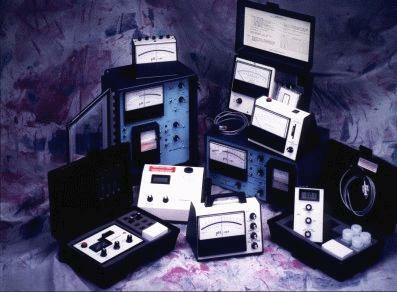 ICM is dedicated to providing high quality, innovative and economical instrumentation for use by all individuals. We will do this by offering quality products, excellent customer service, guidance and education. ICM's focus has been to produce simple, easy-to-use instruments at modest prices. The company's products are actively utilized in small laboratories and for field based environmental analysis. Our products are unique in that they utilize Analog or Digital circuitry with Analog or Digital readouts. An Analog readout is preferable because humans are Analog.